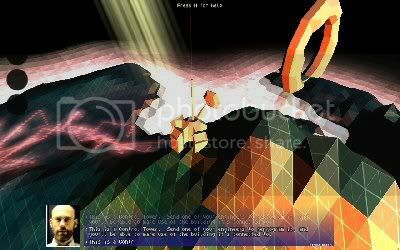 by PaulEMoz in "Cinemaware", "Commodore Amiga", "Defender of the Crown", "Robin Hood", "strategy"
Ladies and gentlemen, please bear witness to the arrival of Sir PaulEMoz. I've only played one Cinemaware game before today, and that was Rocket Ranger. 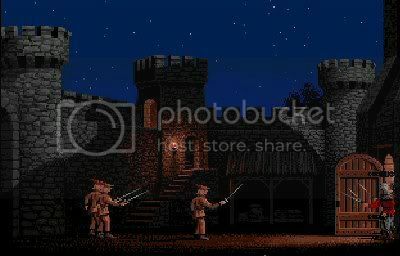 It just so happens that that game is one of my all-time favourite Amiga games. 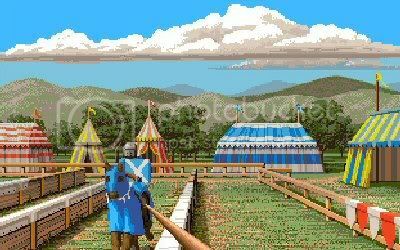 Not having owned an Amiga in its halcyon days, though, meant that I never got the opportunity to sample the rest of the Cinemaware catalogue. The first of their games, and the one that served to hype their name to the heavens, was Defender of the Crown. Finally, twenty-five years after its release, I've managed to play it. 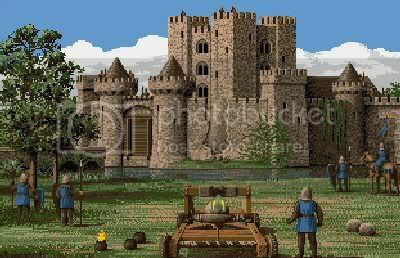 Defender of the Crown is a strategy game, with action sequence mini-games. You find yourself in Ye Olde England, in the time of Robin Hood. And in fact, you're one of his mates. But he's decided he's past all that heroic rubbish, and is leaving it up to you to wrest control of England (and Wales, I guess, as you can have that bit o' land too) from evil hands. That said, he does agree to come to your aid up to three times, should you require it. Mighty generous of him. Once the game starts, you're presented with a map of England and Wales (well, most of it... the map stops at Yorkshire. Racists!). 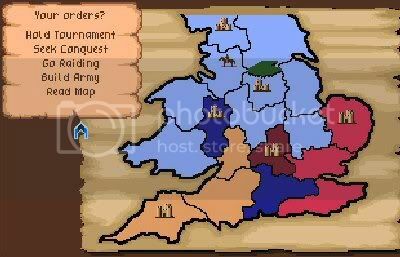 There are six castles on the map, one of which is yours! But you can't just sit in your stately home, Lording it over all and sundry. The crown is missing, and you have to not only retrieve it, but also defeat the other five usurpers and earn the right to the throne. Many of our land's counties are not under rule to begin with. That's how the game starts, with you taking turns to mop up strategically useful pieces of land. You'll earn money off this land, and this can (and must) be used to build your army. This isn't complicated, or especially deep. The only units you can buy are soldiers, knights, catapults and castles. You'll need catapults to attack the other castles. Knights and soldiers should be gathered in nicely proportionate numbers to ensure effective fighting. My counties are displayed in light blue. Looks like it's going alright, so far. Your mother was a hamster, and your father smelled of elderberries. Now go away, or I will taunt you a second time. It's then a case of rinse and repeat for the rest of the game. Which makes it sound boring, which is to do it a disservice. And there's a little more to it than that. For instance, at times, tournaments will be called. All the contenders will be summoned to one location where they (and you) will joust, for fame and possibly for land. On a more serious note, there's castle raiding. This can happen in two ways... off your own bat, or to avenge a damsel from foul Normans. Either which way, you'll break into a castle, do a bit of swordfighting, and if all goes to plan, have your way with a lovely maiden. Get it wrong, and you'll be captured, and will have to part with some of your hard-earned funds in order to secure your release. Alright lads, we're in! You take this lot, I'll get the wench! These bits all sound like fun, but the problem is, I can't win any of the mini-games. At all. Well, that's not strictly true... 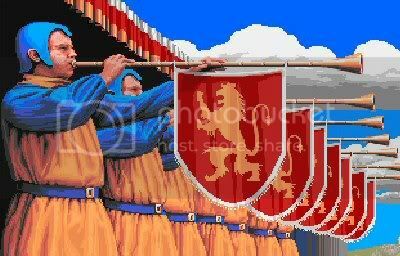 I can knock down the castle walls easily in a siege. But the jousting and swordfighting are proving to be impossible for me. Now, you can win the game without them... I did, on my first try... but where's the fun in it if you're not dominant in everything? You want to win the joust. You want to win the swordfights and rescue the damsels. Of course you do. I feel like a bit of a limp-wristed fraud. Still, as a groundbreaking bit of strategy-lite, Defender of the Crown is something of a triumph. And I would go so far as to say that, even today, it would be a good introduction to the genre for anyone that's a bit wary (or even scared) of the more dense strategy games. You can count me in that number. by PaulEMoz in "Commodore 64", "Geoff Crammond", "The Sentinel", "strategy"
If you've been playing games for any length of time, then the name Geoff Crammond will likely mean something to you. Responsible for some legendary, even revolutionary racing games, he's provided more computerised speed thrills than maybe anyone else. But if you look down through the list of games he's produced, one name, like the character in its game, stands alone: The Sentinel. It's a bit odd that a man that loves fast things produced one of the slowest-moving games of all time. But just because things aren't motoring on the playfield, doesn't mean you don't need your brain in high gear. The start of what you hope will be a long and epic journey. 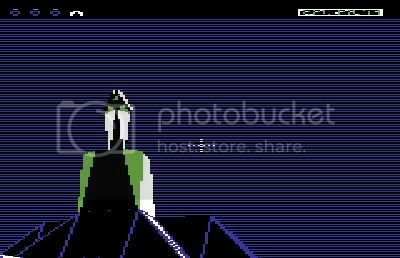 It was with some trepidation that I first played The Sentinel for the blog. I'd briefly played it on the Commodore 64 back in the day, and got absolutely nowhere. I think that was because I didn't have the original, and had no idea what to do. It was really frustrating. The Sentinel really is one of the best games ever. It's not to all tastes, but it's got 10,000 levels of brain-melting strategy, and it's incredibly satisfying to complete even one of them. The atmosphere is amazing too... although it's mostly silent, that just ramps up the tension, and the sound effects, although nothing spectacular, do a good job of unsettling you just a little more. It's a shame in a way that it's not more immediate... that's bound to be off-putting to a lot of people. For the rest, there's a lifetime of mentally challenging gaming ahead. 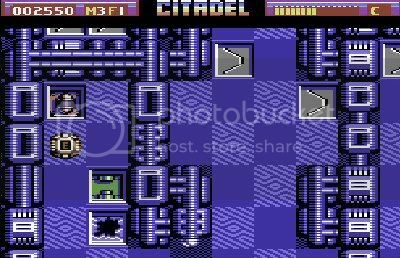 by PaulEMoz in "Chaos", "Julian Gollop", "ZX Spectrum", "strategy", "wizards"
Of all the games in my blog top ten, Chaos is probably the one I knew least about, prior to playing it. In fact, I knew nothing about it, other than a couple of Speccy-owning mates loved it. 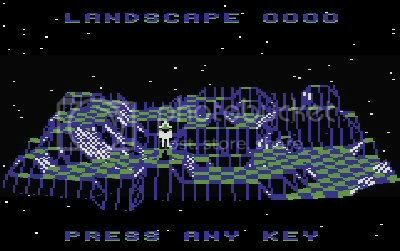 Chaos was actually the tenth game I played for the blog, and the first Spectrum game, all the way back at the beginning of February 2009. So for it to have stuck with me for that length of time, to be fourth on my list of favourites, you know it has to be pretty special. 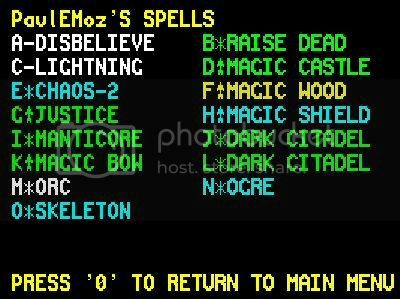 Whooo, look at those spells, feel the power! Actually, that's not that great a "hand". Now, I'm not generally one who likes a lot of thinking in my games... time spent thinking is time that could be spent blasting. But Chaos had me intrigued from the start, and it was a classic example of using what the game gives you and adding to it with your imagination to make the experience even better. It's a lot like a board game in that respect, and in every other respect, actually. I did some deeper digging into the game with it having made my top ten, and found that it's got a really good Wikipedia page. Reading that gave me a deeper appreciation for the game... no bad thing, the game deserves it. 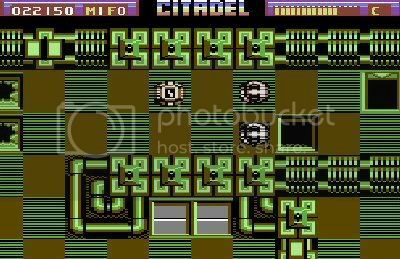 by PaulEMoz in "Citadel", "Commodore 64", "Electric Dreams", "Martin Walker", "chess", "strategy"
If you look up Citadel on websites, you might wonder how I'm putting it in Unsung Classics. 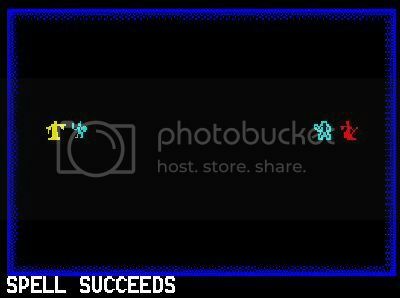 After all, it got 91% in ZZAP! 64, which means it was obviously appreciated in its time. That may seem true, but I honestly don't know anyone else that's played it, and it hardly ever crops up in lists or discussions of best Commodore 64 games. Time to spread the word a little. I remember following the making of Citadel in ZZAP! 64's Diary of a Game, and looking forward to it a lot. Martin Walker's updates were entertaining and insightful, and served to build a good picture of what we could expect from the game. As a result, I made sure I had a tenner available for when it was released, and bought it as soon as I could. I didn't regret it. Your droid has a little information screen. The 'E' tells you you're about to pick up an energy capsule. Citadel is a game set in deep space, where a routine explanation has picked up energy emissions from a seemingly-barren world. A probe was sent in to investigate, but after providing information on the planet's internal defence systems, contact was lost. As it is thought that the planet may hold technological secrets, you must use remotely controlled droids to explore the eight underground cities in an attempt to find anything of value. The cities are laid out with checkerboard flooring, something akin to a chessboard. And indeed, the game's instructions say that this is like a cross between an arcade action game and a strategic board game. Seems like an odd mix, but there is some truth to this. You can't just pile in with guns blazing... the cities are very cleverly set up so that you're quickly overwhelmed if you try this. No, some thought is required here. In Citadel, each city's floors are littered with trapdoors. Once your monitor moves within a certain range of these doors, they'll open, revealing either a good surprise or a nasty surprise. It's easy to know which is which... if you get within two squares of a trap and it hasn't opened, then you know you'll reveal either a switch or, better yet, energy or firepower for your droid. Switches are used to shut off electrified beams that deny access to many areas. There's quite a bit of backtracking needed to get all the areas open... although you don't always have to open every switch or visit every part of a city to be able to move onto the next. I appreciated this, as it can be frustrating to be stuck in similar-looking cities, wondering exactly how to get to the one bit you've missed. This city's got horrible decor. You'd be wise to get out, sharpish. 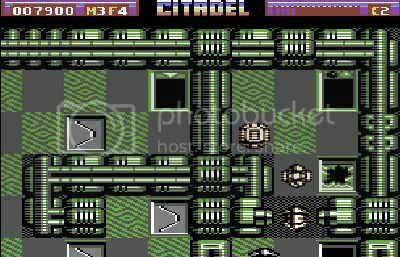 There are some similarities to Paradroid here, too... obviously, there's the "remote droid beamed into droid-occupied territory" thing, but besides that, you have a Capture mode available. This one's a bit easier to use than in Paradroid, though... simply double-click to open it, move it over whatever you want, and let go. Voila, it's yours. This comes in very handy, because in this case, any droid you capture can be used as a shield... and it will need to be, otherwise you've got no chance in later levels, where enemy firepower is substantially more vicious. Citadel is an excellent game, which requires you to use your brain as well as your trigger finger. It's very devious, and it's obvious that every single trap placement has been carefully considered, meaning you'll have to have your wits about you to get through the game. The action is a bit samey, it's fair to say, but it's still never less than interesting, and I've really enjoyed delving back into its depths. 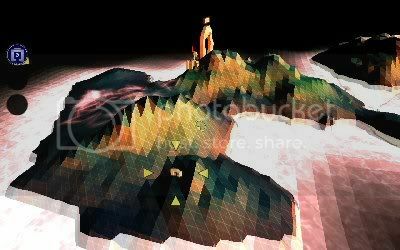 by PaulEMoz in "Darwinia", "Introversion", "Live Arcade", "PC", "XBox 360", "indie game", "retro", "strategy"
I've read a lot about Darwinia over time, and it's always been highly recommended. I've never been sure that it was for me, though, but with it being on special offer on Steam a while back, I figured I'd pick it up for the purposes of this blog, and if I liked it, so much the better. It gets off to a good start, with lots of lovely retro touches appealing to the old-school gamer in me. There are distinct throwbacks to the Spectrum and the Amiga, providing an instant pull, although they're purely presentational. Still, they got me in, which was a good start. Trouble is, the rest of the game had me baffled. I lay part of the blame with the game itself... it doesn't really signpost you at the beginning. Seasoned strategists will no doubt not view this as a problem, but for me, I spent ages scrolling around the landscape, looking at the nice things but wondering what on Earth to do with them. Eventually, I accidentally discovered how to create some units. That was good. Then I put them on the map, and they were all wiped out by the virus that was spreading across the landscape. That was bad. And there he goes, on his way to repair the building. Sadly, he will be obliterated before he gets there. Every time. After an hour or so, I stumbled across a set of goals for the level. So I was making progress of a sort, although after another twenty minutes I still didn't have a clue how to achieve the first of the goals.